As any parent with a young family knows, getting everyone ready and out the door in the morning can feel like something of a military operation. When it comes to preparing for a holiday, you can expect this to be magnified by 10. In order to make your life a whole lot easier and make your trip a lot less stressful, staying organised is the name of the game. That’s why we’ve put together the essential family holiday checklist to ensure that you can sail out the door, safe in the knowledge that all your bases are covered. Arriving at the airport only to find out that your passport is still at home or out of date is the stuff of holiday nightmares. Be sure to check all documents are valid and that you have everything safely stored away on your person. Additionally, check your destination of choice – many countries such as the US require visas, applied for in advance. If there’s one thing worse than being banned from boarding the plane, it would be getting sent straight home again on the other side. Check the recommended vaccinations for your destination well in advance – some jabs need to be administered several weeks before you are due to travel in order to be effective. If you’re unsure, simply ask your GP or local travel clinic who will be able to let you now if you need any boosters. Don’t forget to check if malaria pills are recommended, too. Ordering currency is often one of those tasks left until the last minute, resulting in families paying a high premium at the airport to secure their holiday cash. Additionally, some banks charge a substantial fee for withdrawing sums of money abroad – why not shop around well in advance and save that bit extra for holiday spends? If you’re travelling with kids, you’ll want to make sure the process of getting from A to B is as smooth as a well-oiled machine. One way to avoid little ones getting grumpy is to cut down on wait time by booking an airport transfer or hire car so that there is no uncertainty as to how you’ll get to your accommodation on arrival. Keep the journey pacey and little minds are less likely to grow bored. Travelling with a family means you are going to need a well-stocked carry-on bag to make it through the journey. Leave the wrong item in your checked-in baggage and you could be in for a very long flight. Make a list well in advance and ensure it includes: all important documents; credit cards and cash; in-flight entertainment such as tablets, colouring books or audio books if allowed in the cabin; phone, battery pack and charger; clear, re-sealable bags for any liquids under 100ml; hand sanitiser; tissues and wet wipes; and a change of clothes for all the family – just in case. Even if you’re heading off to the snowy Alps, sun protection is essential. Choose a brand you trust and pick a high factor for children. Your medical kit could also include travel essentials such as: anti-diarrhoea medicine; insect repellent and sting cream; plasters; paracetamol or Calpol for little ones; and antiseptic spray or cream. Travelling with a baby will mean packing a special baby bag with all your favourite brands – you never know how easy it will be to find what you need abroad. Make sure you have a few extra nappies in case of delays as well as bottles/beakers, bibs, muslin and any other paraphernalia your little one requires. Muslin can make for an excellent bit of sun protection kit as babies aged under six months should be kept out of the sun’s harmful rays. If you want to be super safe, you can buy a very high factor sun cream, designed for delicate skin, to provide further piece of mind. Finally, although nobody likes to think about things going wrong on their dream holiday, accidents, illnesses and unfortunate situations can and do occur. Play it safe and ensure your family is properly covered by the right travel insurance policy so that, should your luggage go walkabout or your child fall sick, you know that you have the financial protection in place to weather the storm. 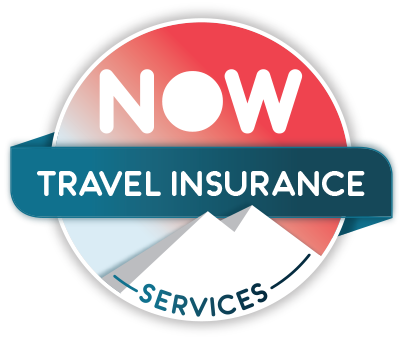 Discover our affordable travel insurance policies and get your quote today.